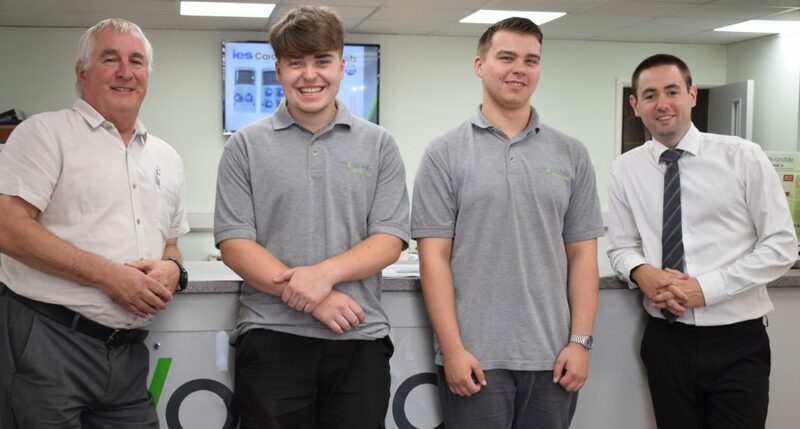 The two South Devon branches of Devondale Electrical Wholesalers have each taken on an apprentice, continuing the company’s commitment to encouraging young talent into the trade. Ethan Stapleton has joined the Paignton branch, which is headed up by Ryan Peryer, himself a former Devondale apprentice. Ethan, 17, comes from the area and attended South Devon College before joining Devondale. Ethan plans to stay in the sector once he finishes his apprenticeship in September 2019 and has ambitions to progress to branch manager in the future. Branch Manager Ryan said: “I joined Devondale as an apprentice in 2010; Ethan is my first apprentice and it feels really positive to give someone else the chance to start their career with the company. At the Torquay branch, 18-year-old Will Messenger is the latest apprentice. Will previously worked as an electrician’s mate concentrating on fire panels and alarms, before he was recommended to branch manager Phil Squires as apprentice material. Phil said: “There’s a shortage of people in our industry, and the best way to overcome that is to show young people the opportunities available to them if they work hard. For both apprentices, the majority of their 15-month contract will be spent learning on the job, working with experienced counter staff and account managers, and undertaking in-branch training before they take their final written exam.